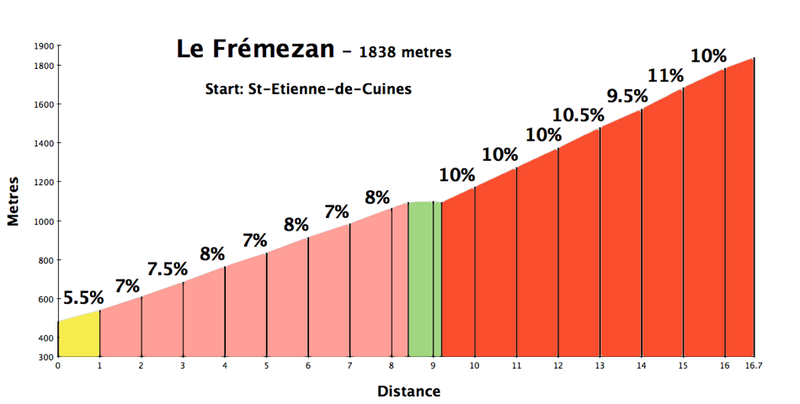 On Strava.com, the social cycling tracker web-site, 2000+ people have cycled up Col du Glandon, but only one person has cycled to Le Fremezan. 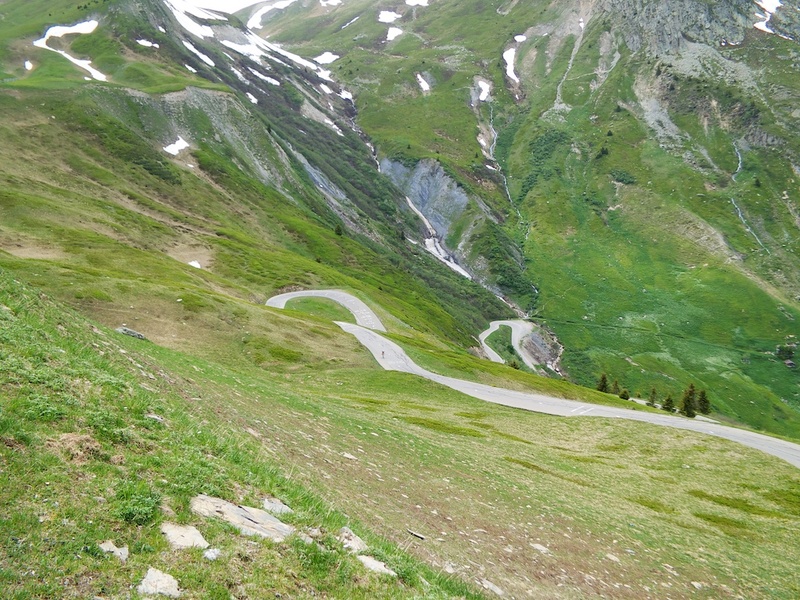 These two tough climbs share the same first 9 kilometres, but while the masses continue up to Glandon, I decided to first take a peek up the little known side road to Le Fremezan (named as the road ends below the Pic de Fremezan). 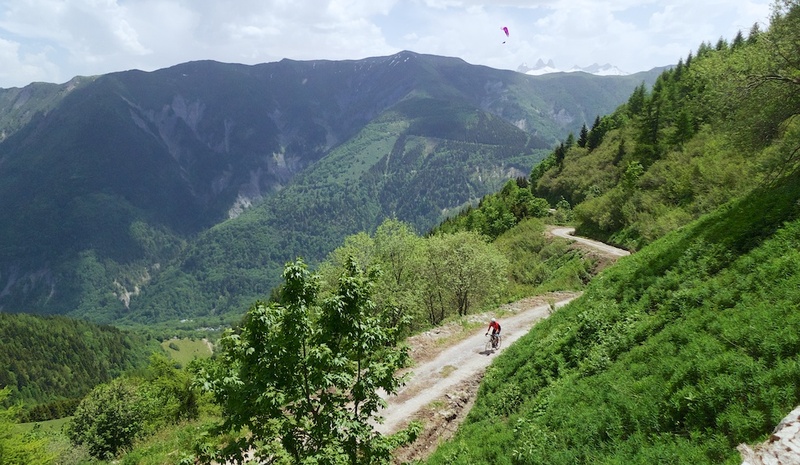 To be clear, the narrow little road to Le Fremezan is not for the fussy. It is paved, but not a great surface. But I survived with a road bike. 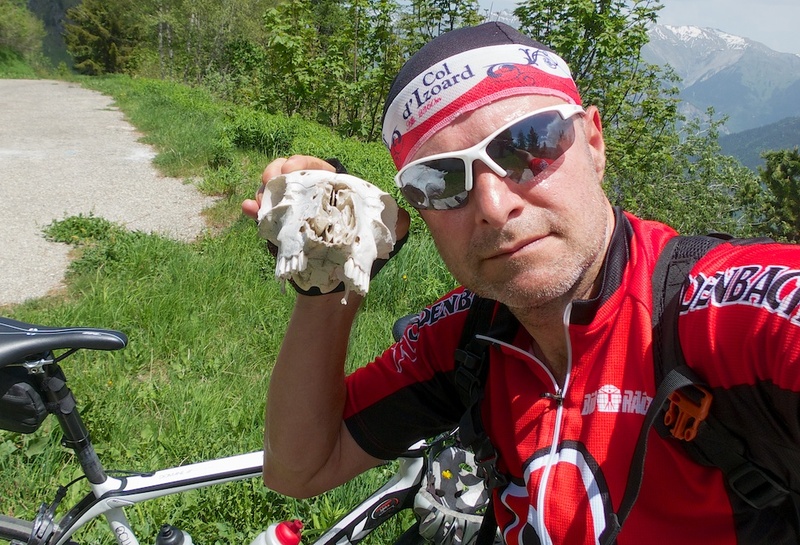 It is easy to miss the road – it is not signed, so make sure you have a good map, or you can get the gpx file from my map below. The road was marked as closed due to tree-cutting, but it was a holiday so I knew there would be no-one working. 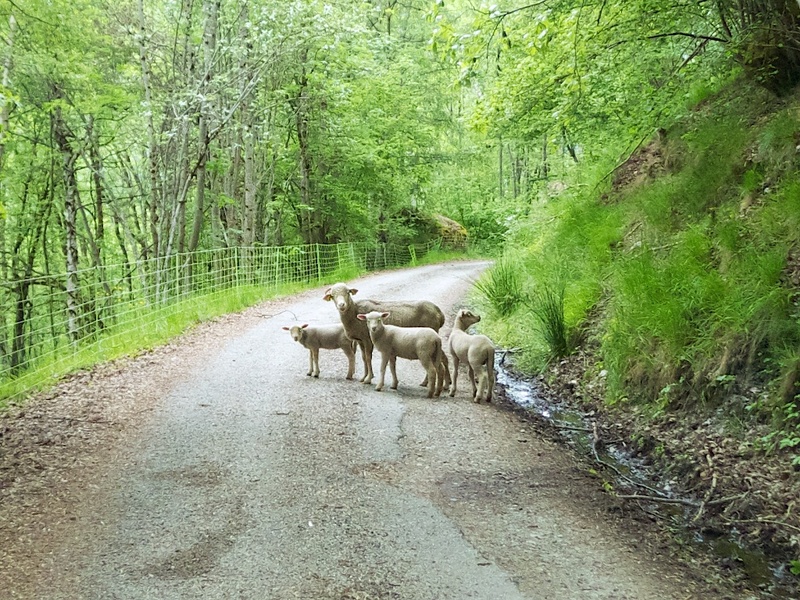 An early gate meant I didn’t see a person, or any other living thing except for a few lambs. The road just hairpins up, and up. It is almost always a steep drop on one side, and a mountain wall on the other: this was built on the side of a mountain. It was a little overcast so I don’t have any good photos, but there are plenty of good views, including the road to Glandon extending up in the distance. Last guy to climb here? 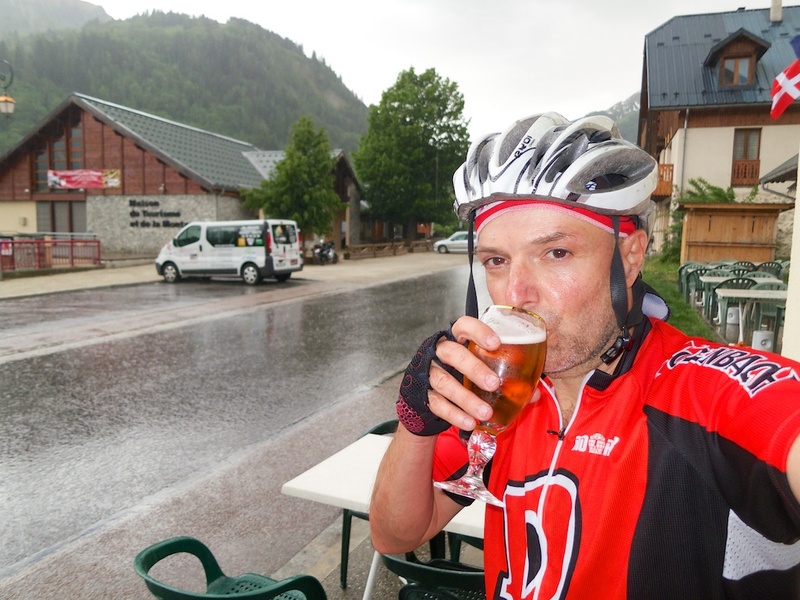 Usually, I would next cycle the couple of extra kilometres to Col de la Croix de Fer, but I could see dark clouds and hear thunder in two directions. I decided to try and rush down before a storm hit. 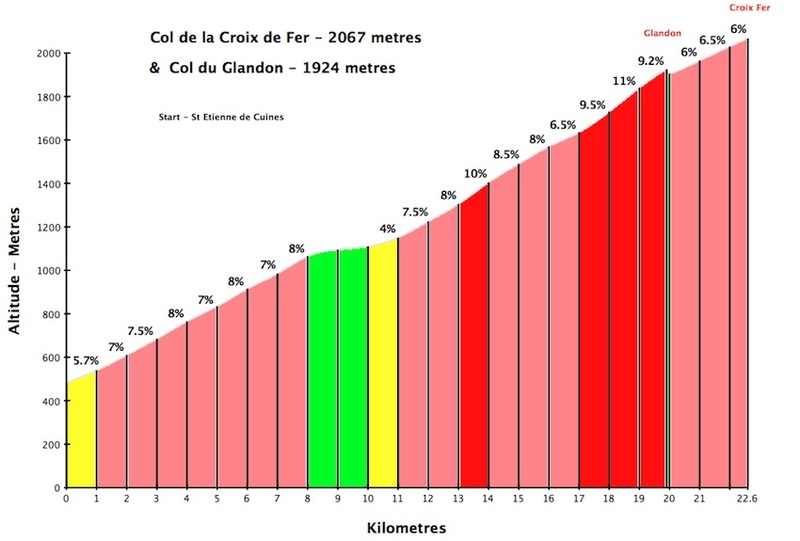 Let me be very clear: Col du Glandon is a much nicer climb than Le Fremezan – better surface, better views, better links to other roads, etc. But, for those that like an extra challenge, now you know it’s there. The rain lasted so long I needed a second! Santé. Keep putting up these posts Will. Its like a breath of fresh air.